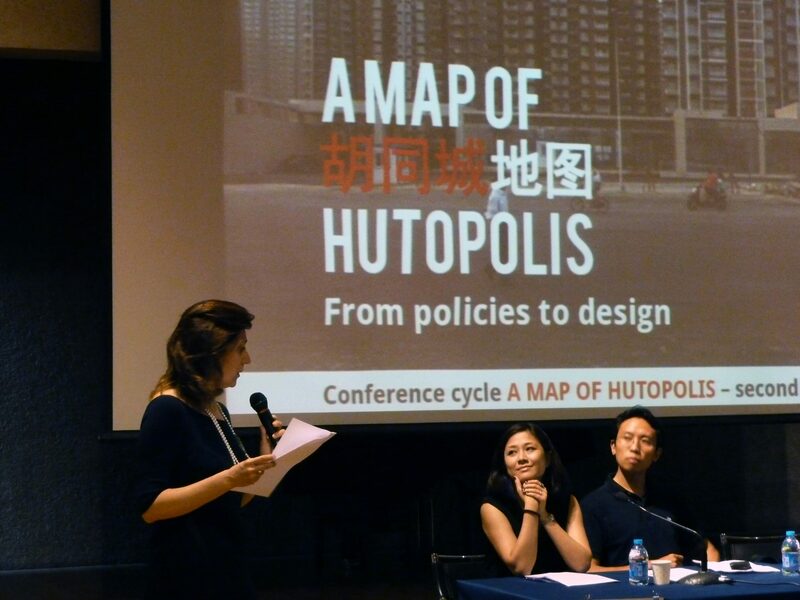 The second of the lecture series entitled 'A Map of Hutopolis', took place in Beijing together with a presentation about policies and design. 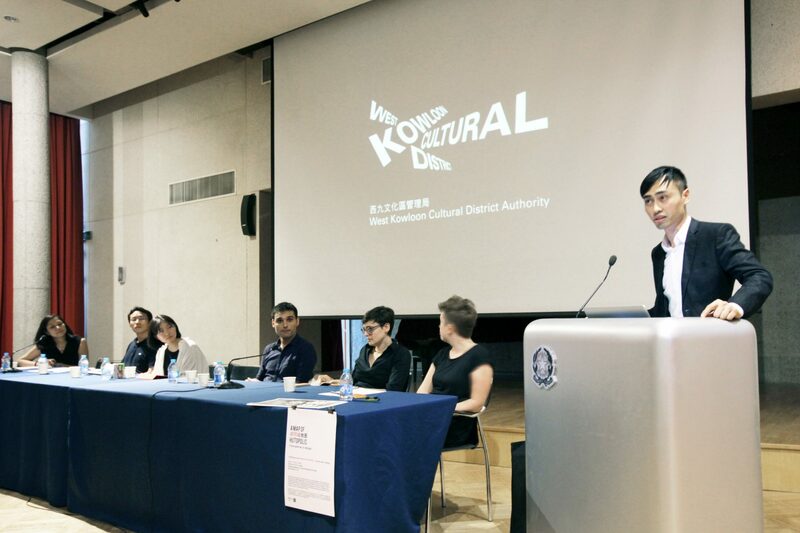 During the event, Toby Wong (Senior Architect at West Kowloon Cultural District Authority) presented the administrative and participatory process of the new cultural district of Hong Kong, while Jiang Cen talked about the initiatives developed at Dashilar in Beijing. The presentations were followed by a discussion with Matthew Hu (Head of Development at Prince's Charities Foundation in China) and the Hutopolis team will be represented by Eugenia Murialdo and Luis Aguirre Manso. Public participation in urban development is a strategy commonly addressed by policy makers and key leaders in the last few years. In cities like Beijing and Hong Kong, this contribution can help to achieve better results and develop better policies for helping citizens to contribute to the development both at social and design level. In the current times, characterised by communications and complexity, the future of the city is becoming more difficult to predict and plan. The traditional urban planning tools are not able to respond to the increment of interaction and changes, especially in Asia. In this context, the single contributions of citizens become an important part of the analysis necessary for the development of the city. 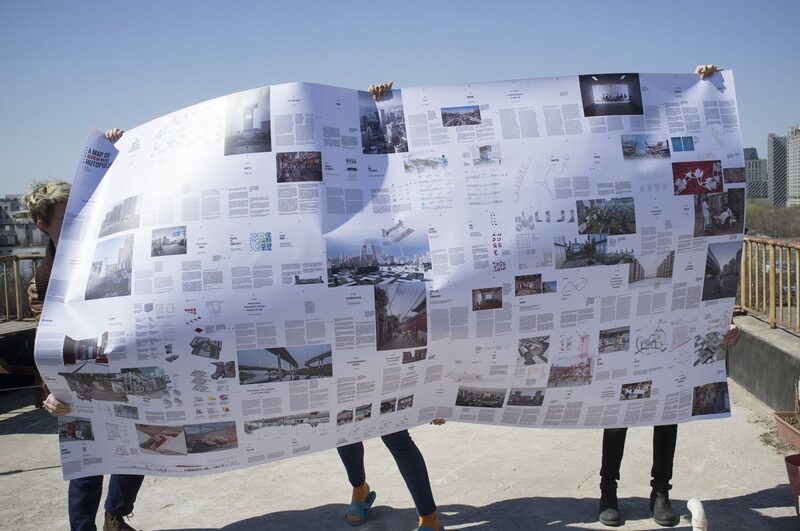 Luis Aguirre and Eugenia Murialdo presented a preview of the research and the developed projects and Céline Lamée, senior graphic designer at LAVA Beijing explained the creative process behind the publication. The event was introduced by Prof. Stefania Stafutti, director Italian Institute of Culture/Embassy of Italy in Beijing and moderated by Barbara Tsui (Editor-in-Chief at Abitare magazine, RCS Media Group China). 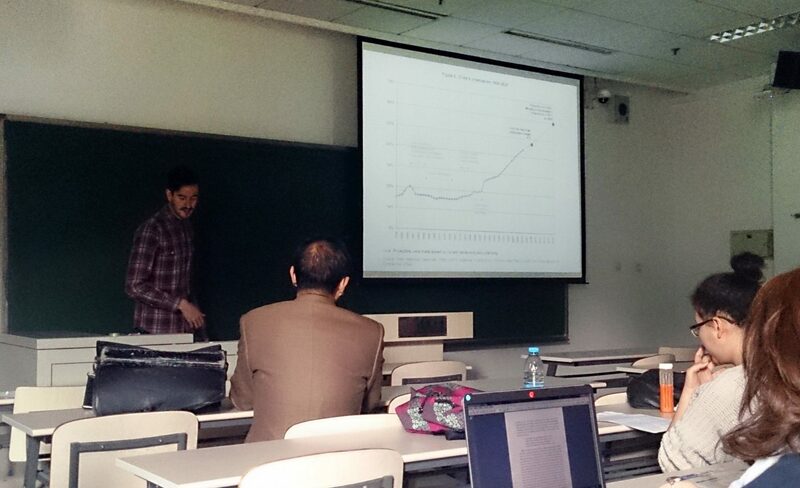 Diego Laguía presented at Tsinghua University (Beijing, China) the outcome of the Hutopolis research. The event, attended by doctorate students from other universities, focused on Chinese Culture and related fields of research. 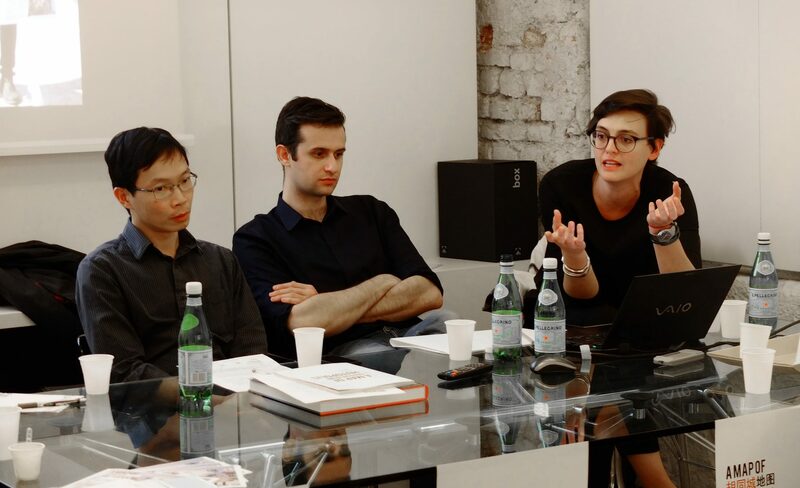 Milan was the city chosen to present the first of the lectures about Chinese urbanisation presenting the book A Map of Hutopolis. 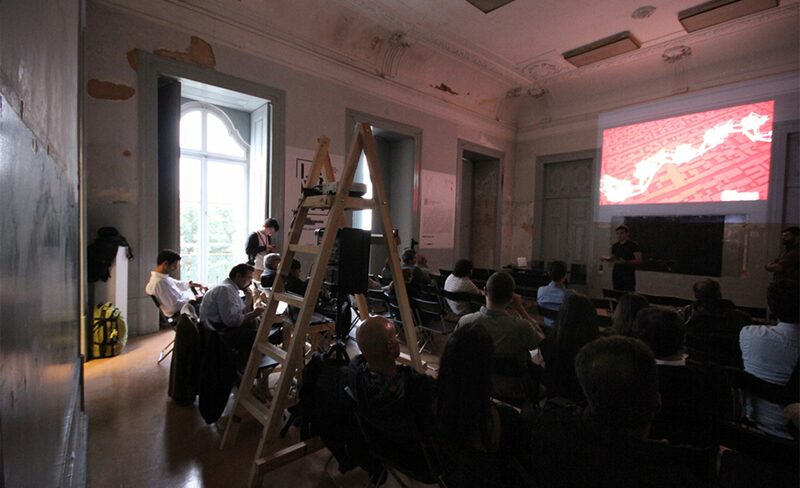 The lecture was organised at the Spazio Tecno at the Caselli di Porta Garibaldi in Milan (Italy) during the Design Week. 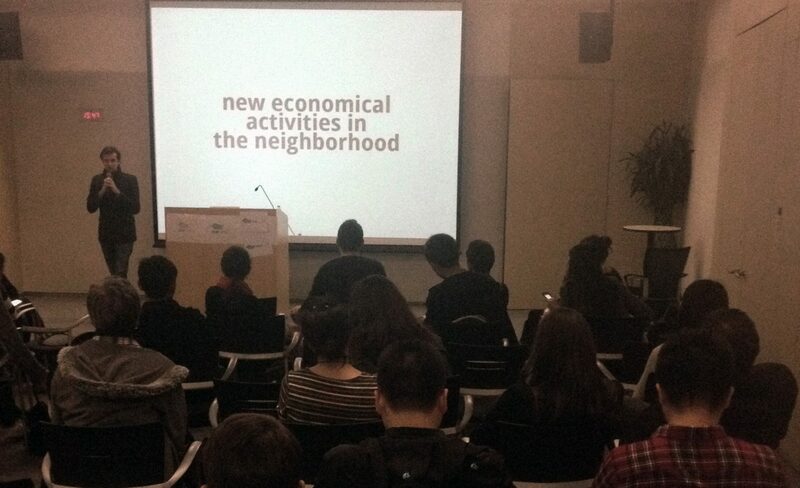 The Milanese event of the series outlined the current status of the Chinese urbanisation’s process, showcased urban re-appropriation phenomena happening in Guangdong as well as the dichotomy between ancient city and modernity in Beijing to then outline solutions and ideas to the present issues afflicting cities. 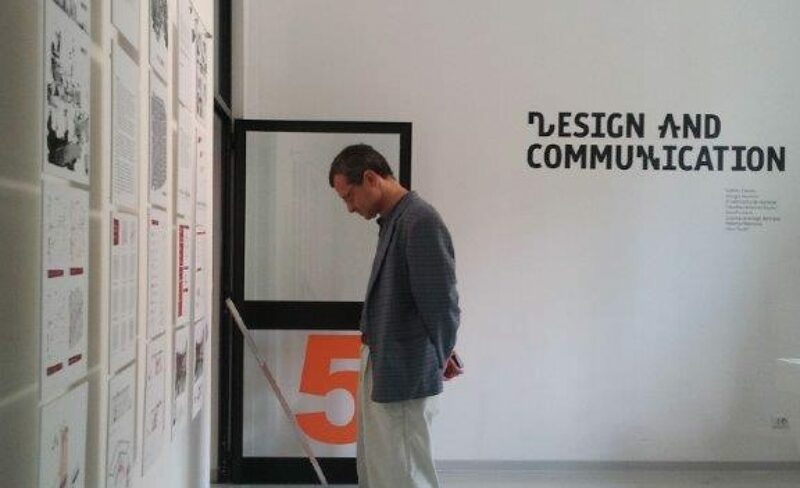 Gabriele Battaglia, an Italian journalist based in Beijing, outlined the current status the urbanisation, the classifications of “dushihua” and “chengzhenhua”, and current policies of the Chinese government. Tong Lam, associate professor of History at the University of Toronto, described in his intervention, 'De-signing Urban China', the ability of people to adapt to different environments, illustrating an urban village within the city of Guangzhou. 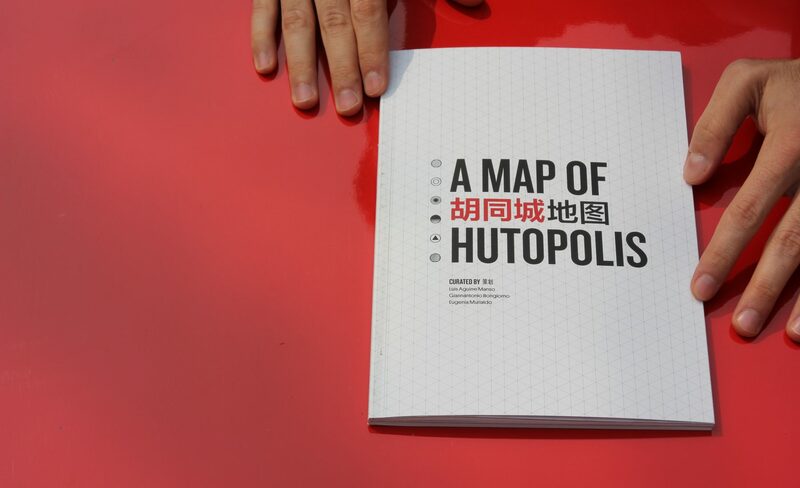 The book 'A map of Hutopolis' was also presented during the event. 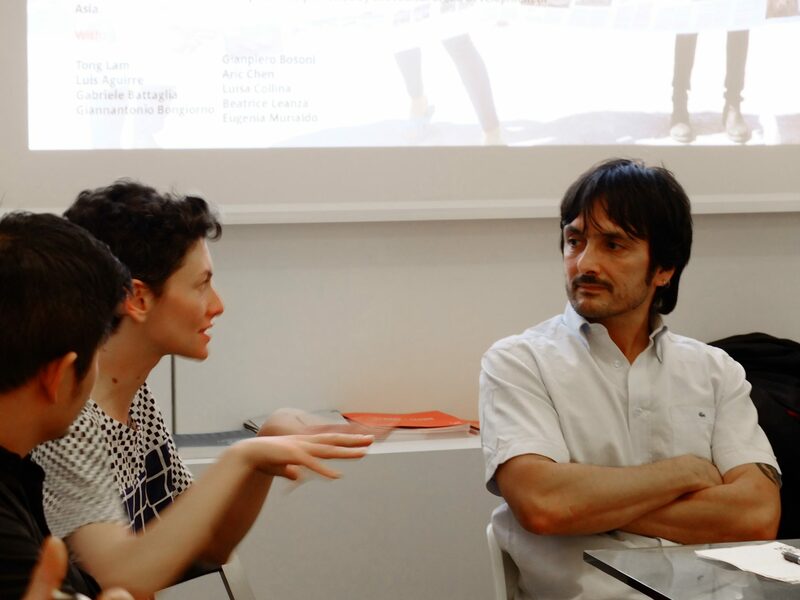 Beatrice Leanza (creative director of Beijing Design Week) and Aric Chen (curator of design and architecture at the M+ in Hong Kong) participated in a panel discussion after the lectures together with Prof. Luisa Collina and Prof. Giampiero Bosoni (Politecnico di Milano). 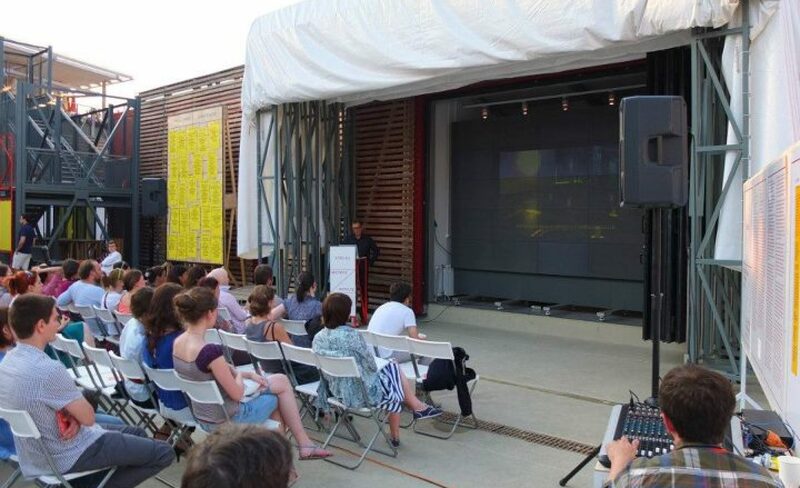 The debate focused on the dynamics of urbanisation and the role that the design discipline can play in this context. 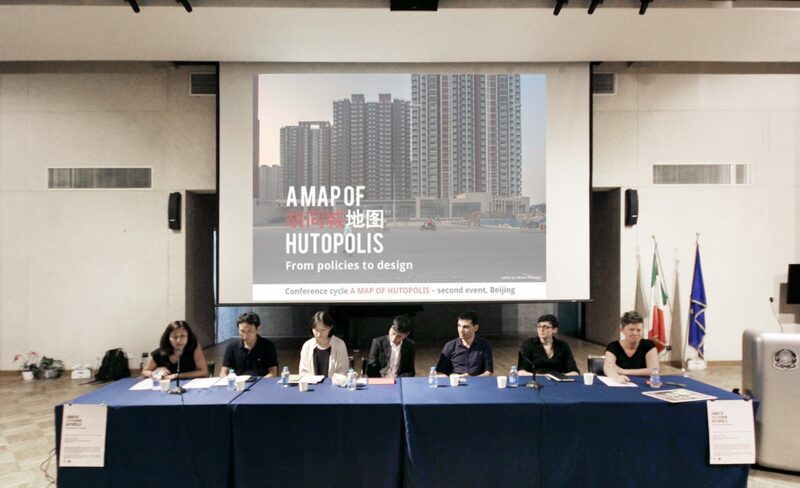 Luis Aguirre presented in Hong Kong the outcome of the Hutopolis research program at a debate entitled ‘The People´s Urbanism’ organised by AP+E for the Hong Kong/Shenzhen Biennale of Urbanism and Architecture (UABB). Jeffrey Bolhuis and Laurence Lord (Founders of AP+E), Ms. Tris Kee (Assistant Professor at the Faculty of Architecture of the University of Hong Kong and Director of The Community Project Workshop) and Travis Bunt (Design Director of Urbanus, Adjunct Assistant Professor at CUHK and Executive Curator of the UABB*HK) participated at a round table about bottom-up approaches for urban development in Asia and Europe. 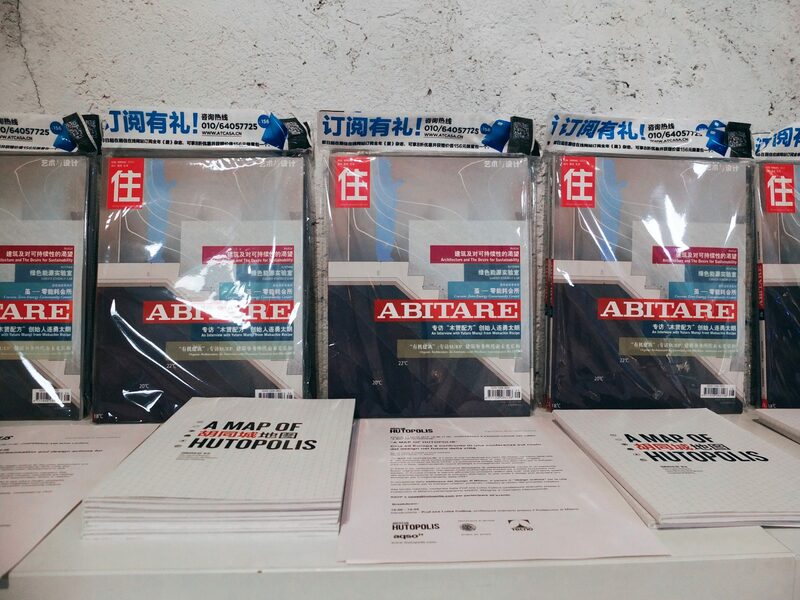 Rizzoli China, the editor of Abitare Magazine, organised lecture at Architects@Work event celebrated in Beijing.  The Italian publishing house is supporting the research program following the success of the monographic Issue N.34 of the magazine on this topic. 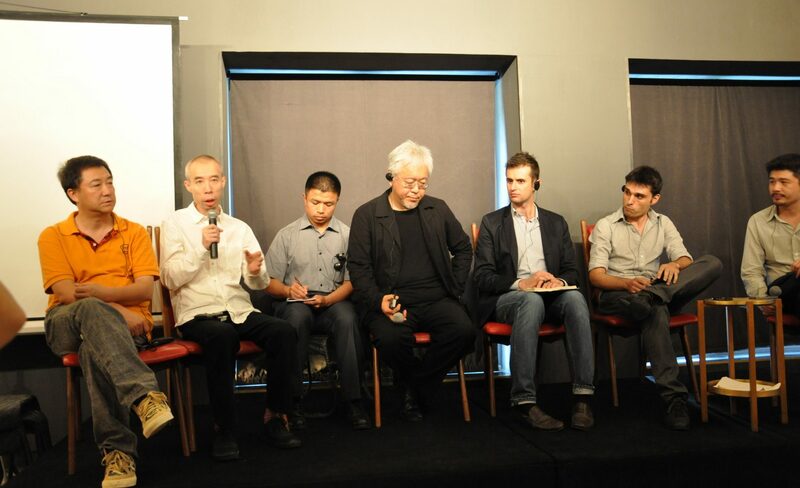 The event counted with Professor Tu Shan from Tsinghua University and the architect QiXin. Eugenia Murialdo presented an introductory review of the projects and activities developed at Hutopolis. 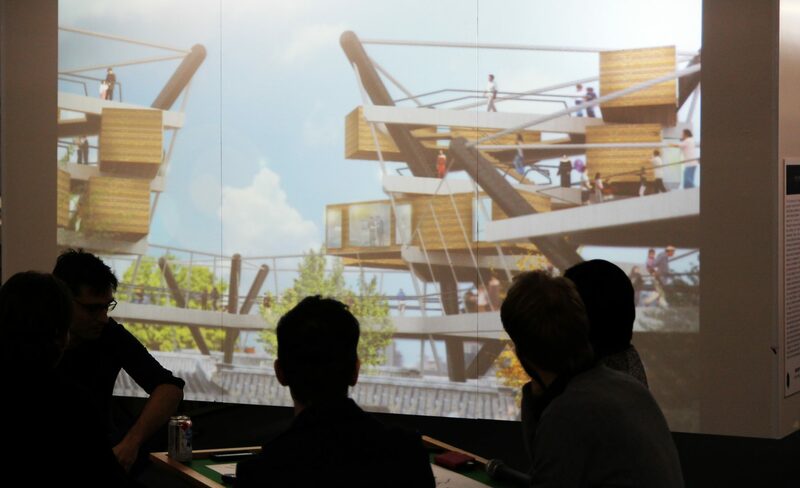 Architects@Work is an event created for and by architects, designers and other industry-related professionals and focusing on quality, innovation and education. 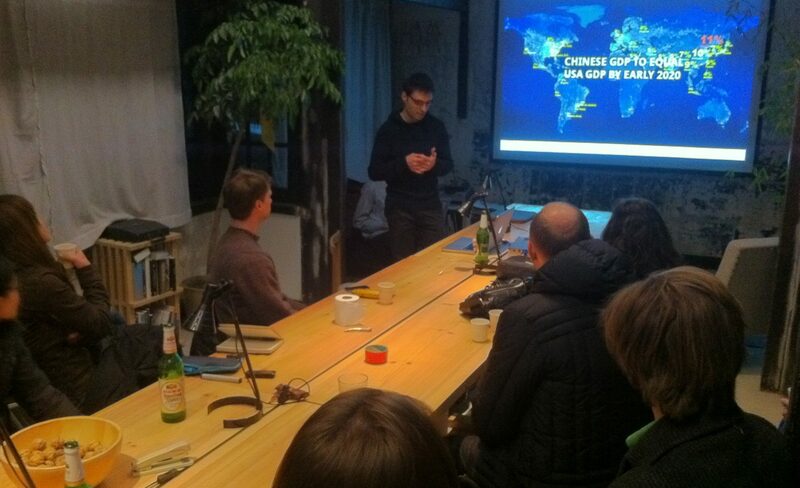 Luis Aguirre presented some of the projects developed at the Hutopolis research program during the Beijing Creatives 6.0 event. 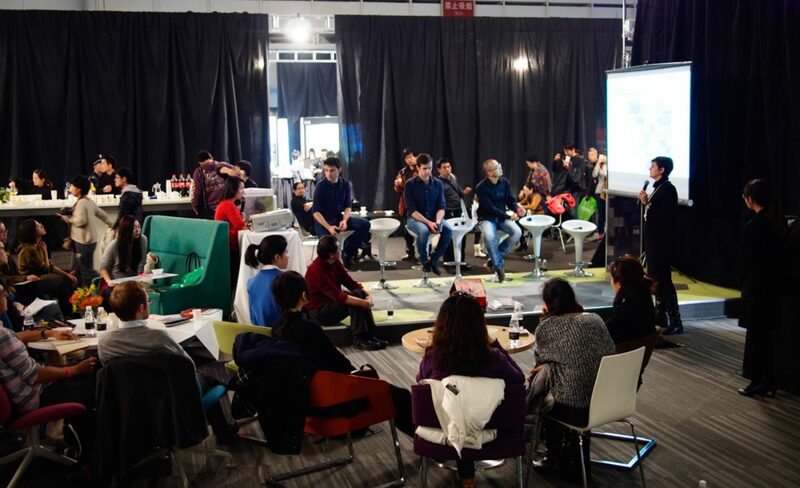 The lecture included two of the films produced by the Tsinghua University and Polytechnic University of Valencia teams showcasing projects in the Dashilar area. The session of inspiring talks was completed with lectures by Julian Wilson, founder of Khnunu, Alexander Shapiro, Head of Strategy at DMG and the economist Lin Hui-Yi. Giannantonio introduced the principles of the program, the network of events realised since 2010 and the most significant outputs of the research, including projects developed with Tsinghua University, Politecnico di Milano and University of Valladolid. The keynote presentation has been followed by a discussion that highlighted the issues related to the fast urbanisation process happening in China. Hutopolis was presented at the Lisbon Architecture Triennale during the series of conferences organised by 'Close, Closer' and LAMIPA. 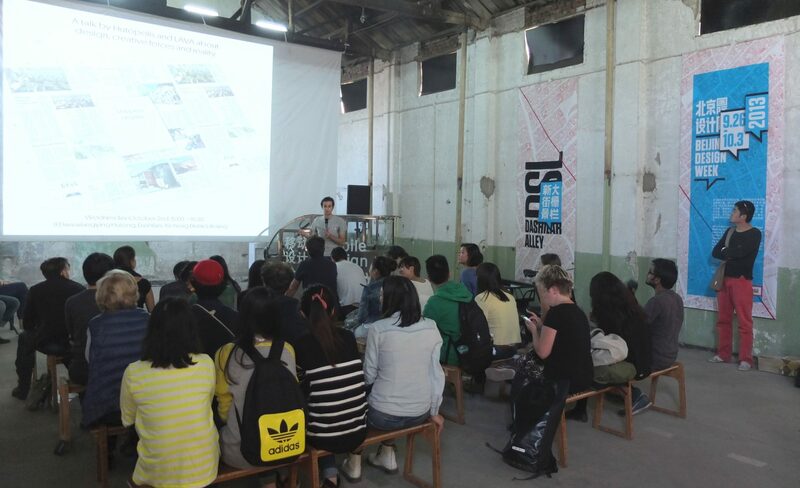 Luis Aguirre talked about the scope of the program, introduced the outcome of the research and answered questions from the public about the urbanisation process in China. Architects, designers and thinkers were called to look at the current conditions of cities and societies projecting their thoughts and ideas into an imaginary prospect. 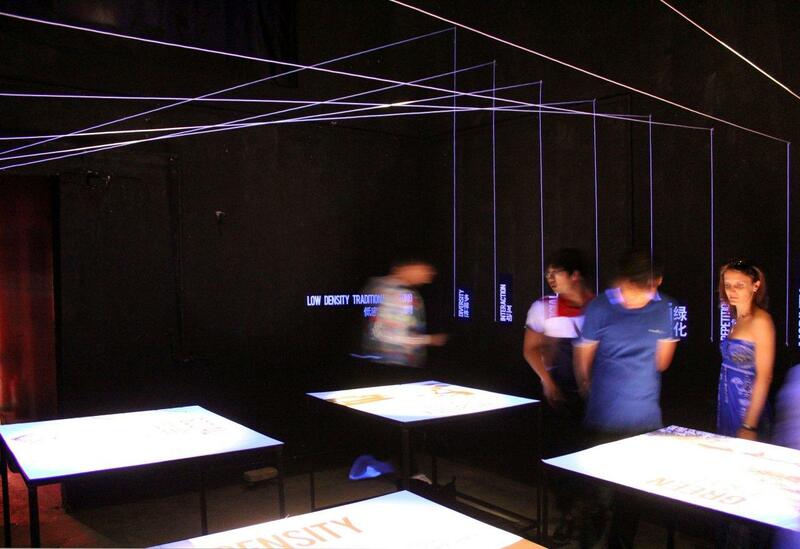 During the event, we discussed some of our “city visions” and how “mapping” could turn them into reality. 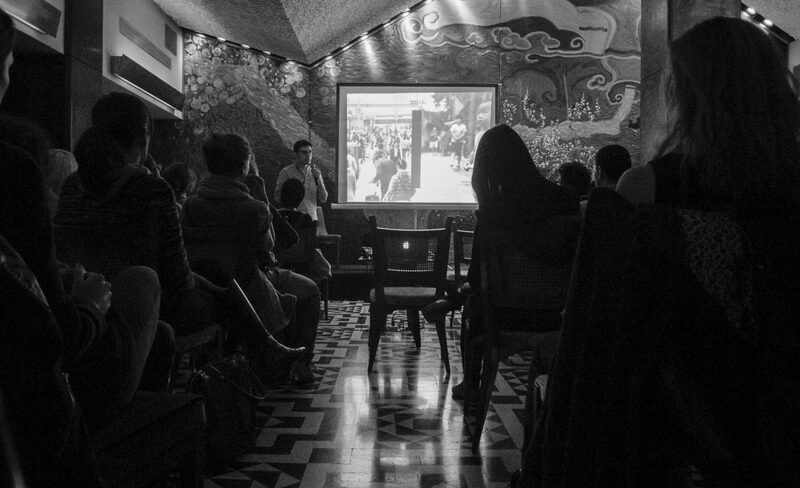 The event included interventions from the Hutopolis team, presenting the short movie “Transformations: a dialogue about the evolving city”, the leading agency LAVA and other lecturers from Salon. “Transformations, a dialogue about the evolving city” is a short documentary that highlights an overall view on the ongoing transformations of Chinese cities, based upon the alternative strategies and visions proposed to contemporary urban development. 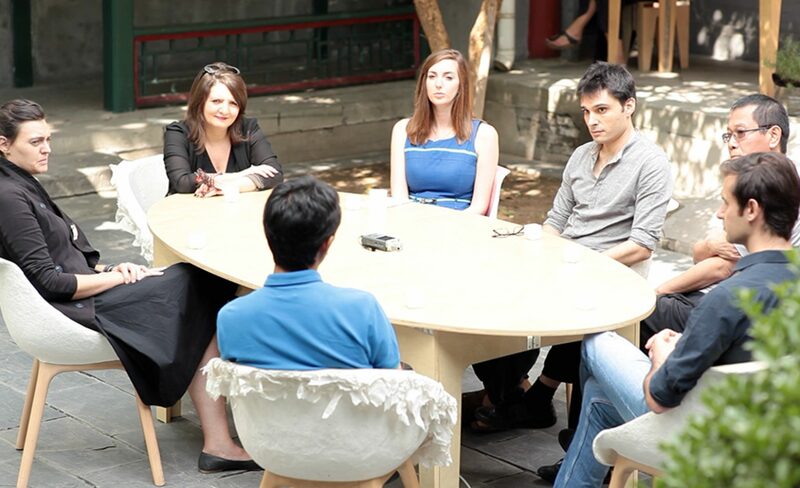 The documentary lines up along a dialogue between Chinese experts and the Hutopolis curatorial team. The conversation becomes a review of the principles followed in the research program and complementary projects where participants are called to answer specific questions about the present situation of Chinese cities. This interactive platform anticipates issues from the internal migration of people to the environmental impact of urbanisation, providing evidence how dialogue, dissemination and discussion would be a starting point in defining the alternative urban development scenarios. The thoughts extracted from the dialogue are part of the final chapter of the Hutopolis research publication. 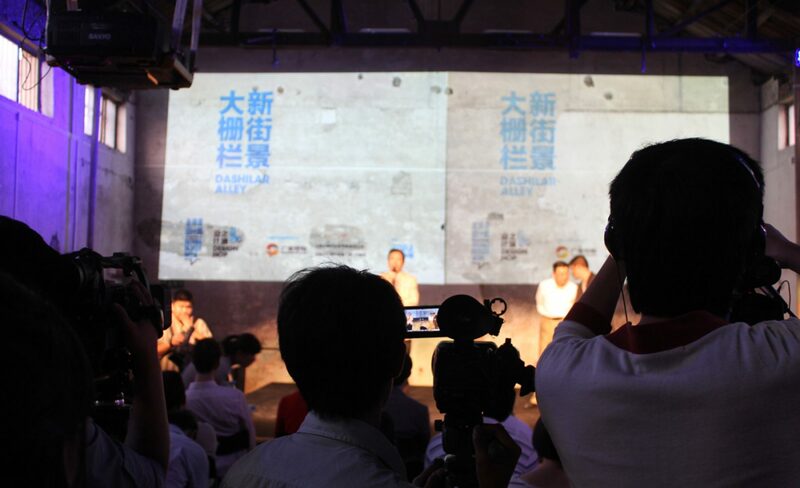 The event was supported by Salon and Wuhao. Images by Héctor Peinador from the series 'Only The Hand That Erases Is Able to Write'. The project 'Cultural Sharing' (Sara Fontana) was featured in the exhibition 'Errors Allowed' presented at the Young Artists of the Mediterranean in Ancona. With Errors Allowed, the 2013 Biennial theme, the curators are promoting a critic reflection on traditional “information regimes” and knowledge and training systems, by questioning their vertical institutionalisation. Errors Allowed is the city where the new Biennial of Young Artists of Mediterranean makes home from home, week after the Venice Art Biennial. Mediterranea 16 will host more than 200 artists selected thanks to the International Call promoted by Bjcem in close cooperation with all the associated partners in Europe, Middle East and North Africa. How to generate an urban evolution? The fast changes happening in Asian cities often leave open questions related to the quality of life in the new settlements, as well as issues related to preservation and lack of identity. Taking the city of Beijing as a case study, the discussion aims to find alternative urban planning strategies to address these problems. 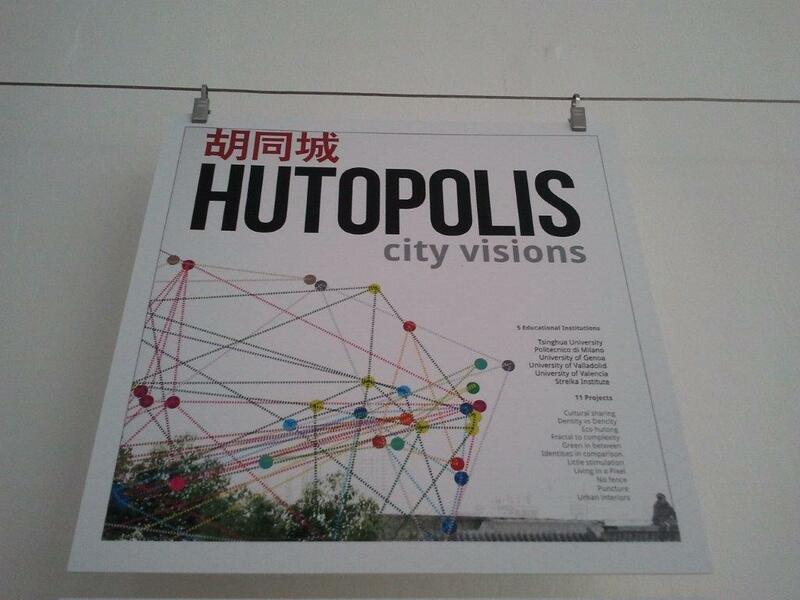 Luis Aguirre, Giannantonio Bongiorno and Eugenia Murialdo will introduce “Hutopolis: city visions”, the exhibition that collects one year of research, experiments and events organised in China and Europe by the Hutopolis research program. “City visions” wants to explore how the re-use and enhance of the traditional city patterns could lead towards a new evolution of the city. Nikolaus Wabnitz and Xu Feng will introduce LCD (Laboratory for Computational Design) and the recent research developed within the Dashilan Area. 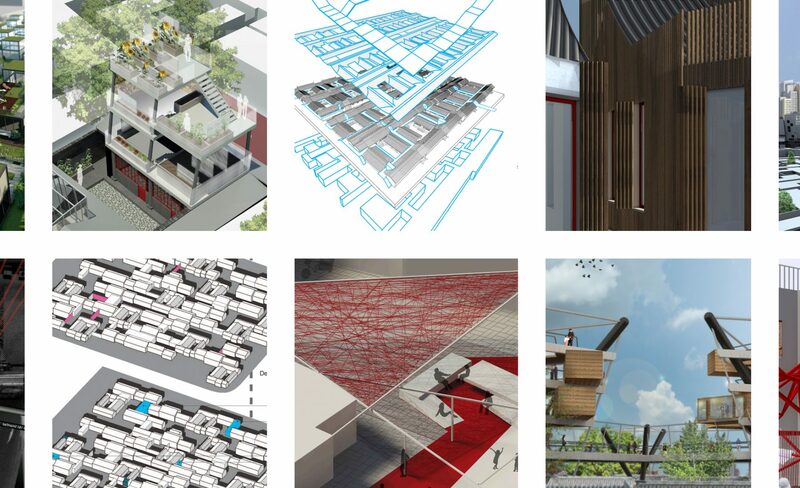 5 educational institutions, 30 students, 10 tutors and 11 visions for the cities of the future. The results of the Hutopolis research are now available both online and as part of the exhibitions. Following “Next step: Hutopolis”, presented during Beijing Design Week 2011, “City visions” wants to understand how the re-use and enhance of the traditional city patterns could lead towards a new evolution of the city. 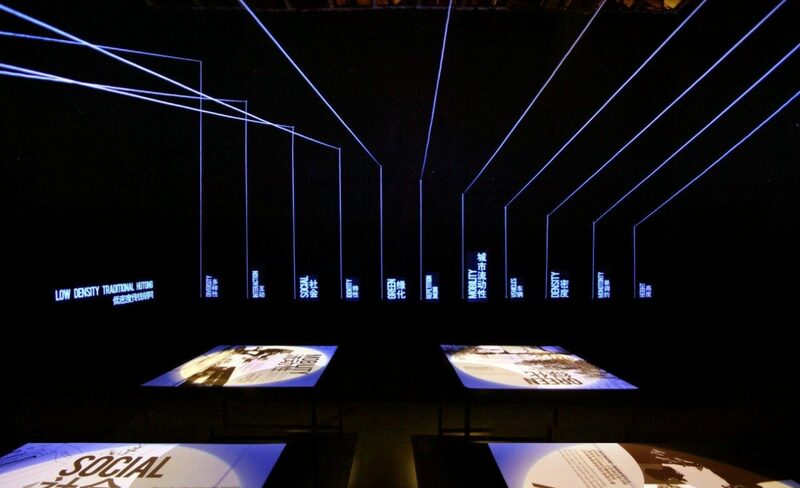 All the graphic material developed was arranged on long tables in which rotating panels, screens and booklets were integrated. It was intended to offer first a quick visual image of every project and the concept behind it to continue through a deep set of information in the publications. 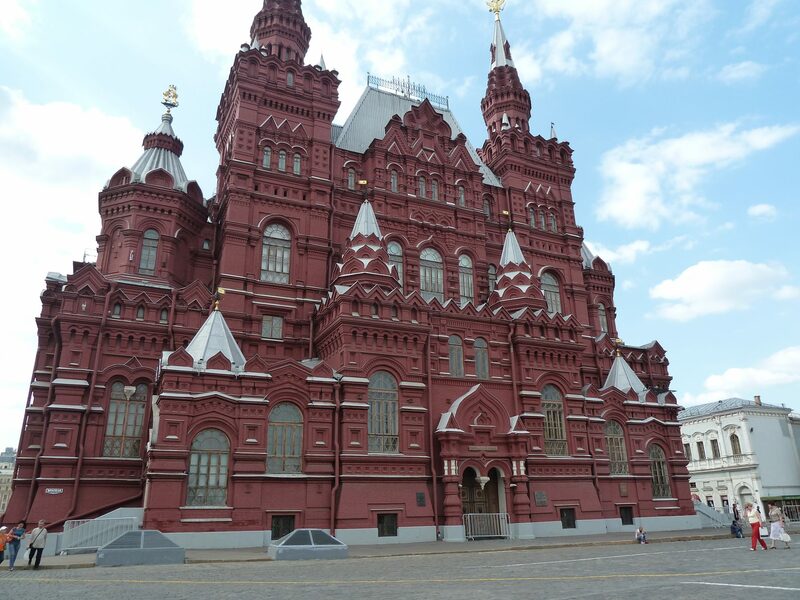 Parallel social and economic transformations are currently happening in both Russia and China. In several ways, these countries are experiencing an unprecedented shift from a planned economy to new models of development. We have challenged our researchers to study and compare Moscow and Beijing, finding patterns and experimenting new urban development strategies. The 6-days workshop allows participants to develop a critical thinking and study soft-urban tools for citizens and policy makers. The projects are developed in specific areas of both cities which share a similar historical development.  We will focus on services, new functions, installations and urban games, through analogic, digital or hybrid representations. The workshop will be led by the “Hutopolis” team (Giannantonio Bongiorno, Luis Aguirre, Eugenia Murialdo) with prof. Frans Vogelaar and Elizabeth Sikiaridi and the support of other lecturers and researchers. 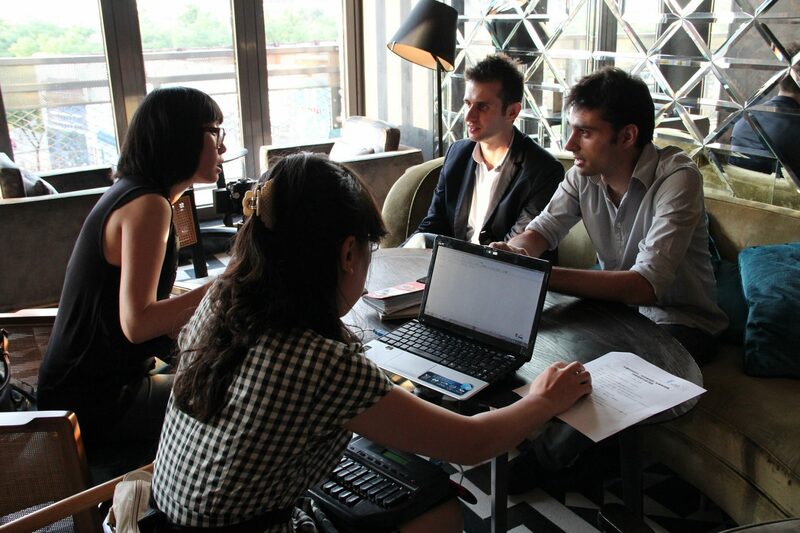 Organized by ‘Beijing Design Week’, Dashila(b) and Capital M, the event counted with Kenya Hara, designer from Nippon Design Center and director of design for MUJI, Fang Zhenning, curator of the Chinese pavilion of the 2012 Venice Architecture Biennale, Liang Jingyu, architect from Approach Architecture and Giannantonio Bongiorno and Luis Aguirre, curators of Hutopolis. 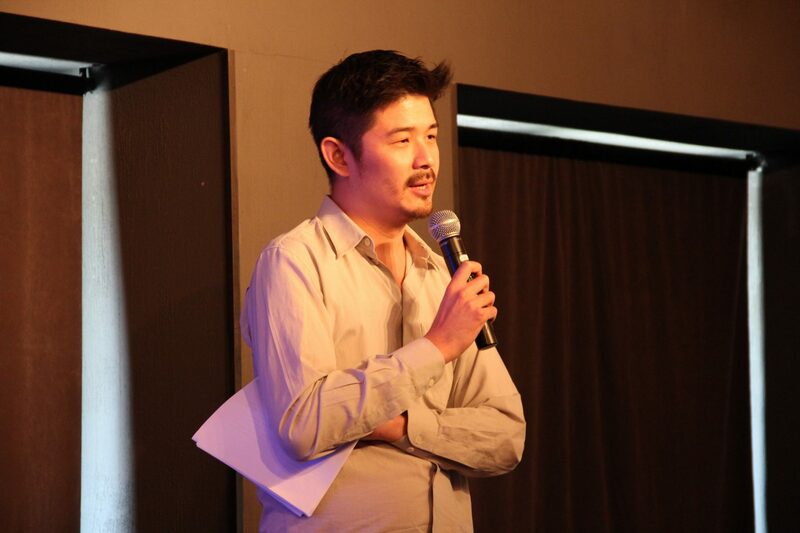 Aric Chen, BJDW creative director was the moderator of the debate in which issues related to the preservation, the soft-urbanism interventions, and the economy of this ancient and distinctive Beijing district were discussed. 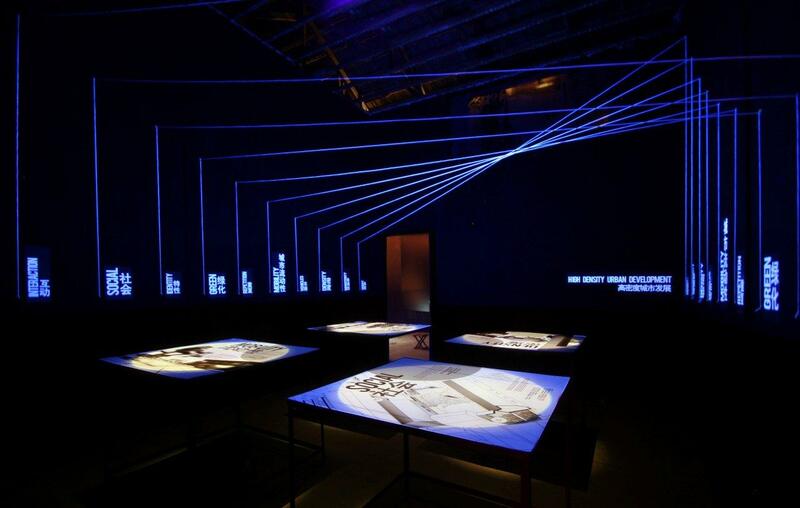 Short movie by Anouchka van Driel presented on the exhibition 'Next stop: Hutopolis' during the Beijing Design Week. Anouchka is of mixed Dutch and Serbian heritage and has lived and worked in Beijing since 2004. Drawing from methods of urban sociology, she is interested in the personal stories of the inhabitants of a city, and how we experience the places and spaces we move through. 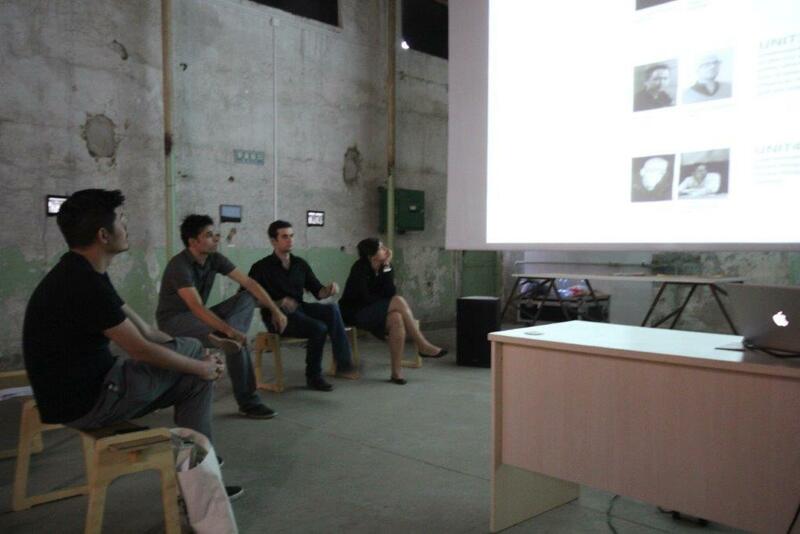 AQSO participated in the ‘Iterate’ workshop in Beijing with a lecture about the changing conditions of the Chinese cities and the progress of the ongoing research program ‘Hutopolis’. 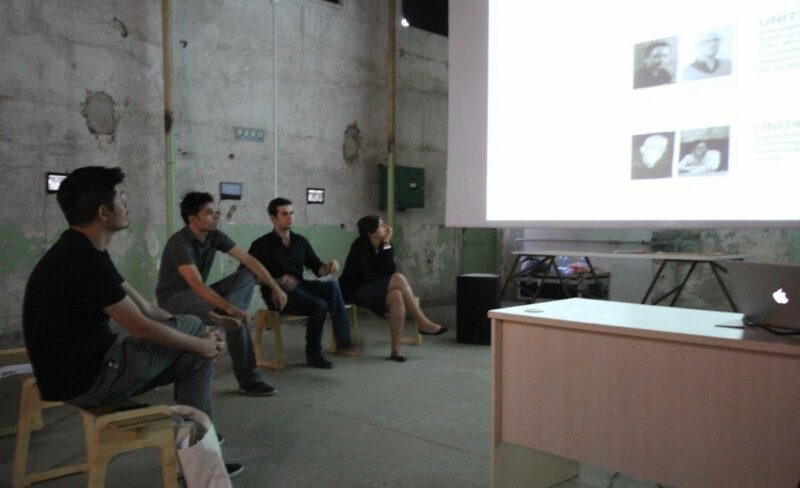 The ‘Iterate’ workshop is organised by the ‘Institute for Provocation’, counts with the support of Huazhong University of Science and Technology and aims to create new perspectives for activating the everyday spaces of the city through interventions on public space, design and computational analysis. Luis Aguirre Manso focused his presentation on the basis of the research programme, describing the contrast between traditional and new development models in China. He showed some case studies of urban planning being currently developed in the office and underlined the lack of new residential typologies in the fast-growing Chinese scenario. Diego Laguía Martínez, a researcher from the University of Valencia (Spain), explained the conceptual principles of his proposal for the Dashilan area in the Chinese capital. 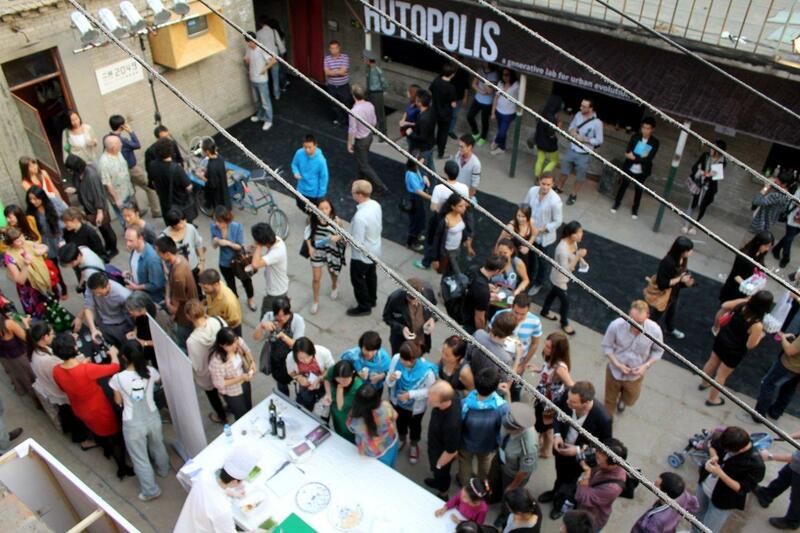 Hutopolis at Beijing Design Week is a retrospective on the urban condition of Beijing and specifically its Hutongs. Imagined as an exploration in three chapters on the urban fabric of the old Beijing, the exhibition wants to establish a relationship with the audience engaging an interactive dialogue.  The discourse starts from a general picture of the old city, continues with a scientific breakdown into the four principles of the research and concludes at a virtual re-composition of an ideal image of Beijing. A series of boards raise questions about the facts and present figures and info-graphics to illustrate the research, while two short movies offer a close approach to the hutongs atmosphere, the way of living and the most personal portrait of the urban and social conditions. 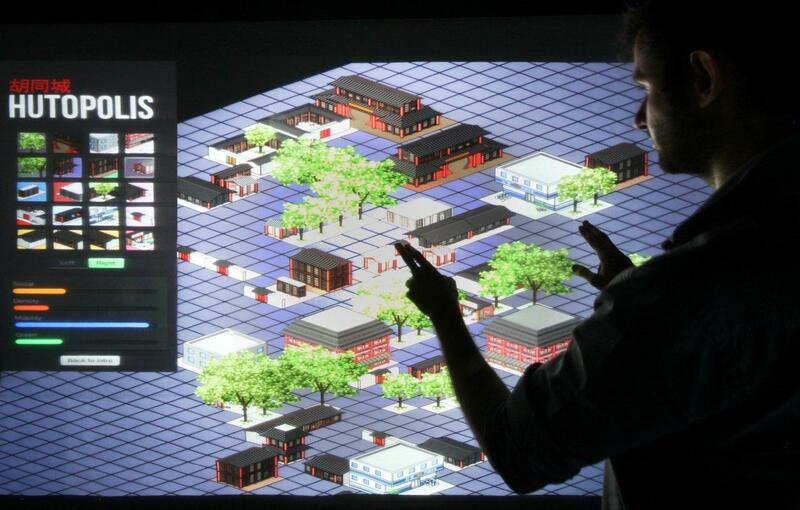 The exhibition is complemented with a touch screen application allowing the audience to interact with a hutong map that represents the morphology and functions of the city through an urban game. 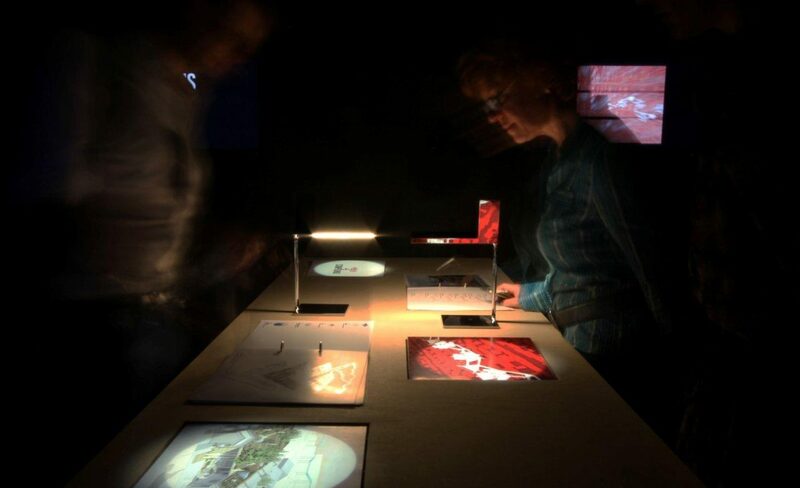 The Dashilab Design Hop, one of the main spots of the 2011 BJDW festival was the scenario chosen to present the Hutopolis research programme. Next stop: HUTOPOLIS, introduction to the exhibition. The lecture started with the facts that convert China in a massive change scenario and pointed out the new potentials of the metropolis. The discussion focused on the balance between the vertical and horizontal city and the principles that characterise each urban model.